Hajime Tabata might be already planning his next project, but that doesn’t mean he’s done with Final Fantasy XV. In fact, the game will continue to get updates throughout 2018 and the development team is working to bring the game on more platforms, such as Microsoft’s upcoming Xbox One X console. Personally, I don’t feel that we have reached the limit [on consoles]. The Xbox One X is a highly attractive console for developers. I feel like I have always been waiting for a powerful Xbox like this. I expect that we will have a frame rate of over 30fps as well. The Game Director then switched topic on the upcoming Windows Edition, which is due early next year bringing a host of enhancements. The console version, which required reconstruction from the very start for both the game itself and the engine, was more than 100 times more difficult. Our aim is to make players want to play the PC version, even if they know about the console version. Moreover, by pursuing the PC version, it led us to improving our own development skills. By collaborating with Nvidia, we weren’t just able to make a PC version of the game; we were able to challenge ourselves in ensuring that we had the latest technological graphics. We saw this as an advantage for both the development team and the player. Players will expect the game to have evolved because we are providing a higher quality depiction than the current consoles out there. If we are able to meet such demands, then it gives meaning to doing this in the first place. One of the biggest enhancements is the first person mode, currently unavailable on consoles. Here’s why the developers were eager to add it. 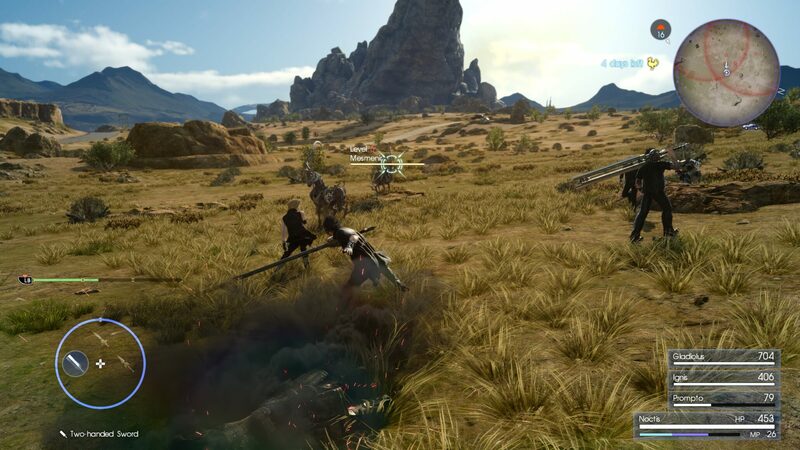 The biggest reason [behind the first-person mode] was that we wanted players who only usually play first-person mode games on PC to take an interest in FFXV. Currently, we have only reached about 50 per cent [completion] on this mode, but we feel the gameplay has a certain freshness to it and it’s been well-received among those in the development team. In providing this mode, we needed to make some large adjustments, like the player character’s VFX, displayed animations and camera movement. Even now, we’re still making small, daily adjustments.